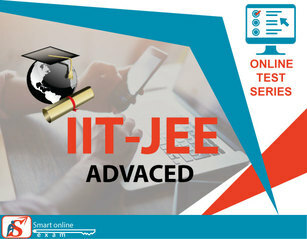 Advanced (JEE-Advanced) is a very effective test and assessment platform where student experience different type of tests with different level of toughness. Formally, IIT JEE Advanced Examination is an annual engineering college entrance examination in India. . It is conducted by one of the seven regional IITs under guidance of the Joint Admission Board (JAB). Only the top 2.4 lakh rank holders in JEE Main are eligible to appear for JEE Advanced exam. It helps students to get comfortable with their actual exam. Our Online Test series will give an essential benefit to students and helps to improve each section of the IIT JEE 2019 exam. It is organized for admission to the undergraduate courses leading to a UG, Integrated PG or Under Graduate-Post Graduate Dual Degree. JEE Advanced 2018 Mock Tests, demo test, online test series and live test have been released. In this article, we have mentioned the complete information about JEE Advanced exam 2018. First law of thermodynamics; Internal energy, work and heat, pressure-volume work; Enthalpy, Hess’s law; Heat of reaction, fusion and vaporization; Second law of thermodynamics; Entropy; Free energy; Criterion of spontaneity.